Back in 2003, I was lucky enough to take a trip out to Tombstone to visit some of Doc Holliday and Wyatt Earp’s old haunts. It was something that I’d dreamed of doing since I first watched Tombstone and Wyatt Earp back in 1994. 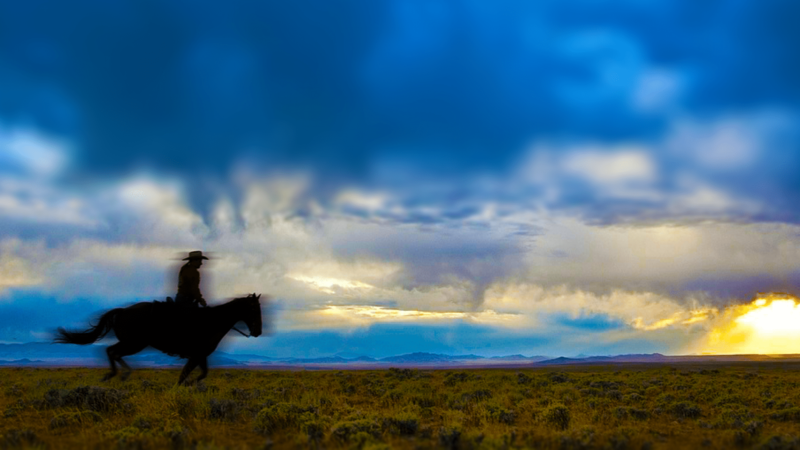 I’ve loved watching Westerns since I was small and I’ve always wanted to ride a horse through the desert. It’s strange to write historical fiction, especially a story like Doc Holliday’s. It requires a lot of research and time spent obsessing over old photos and strange quotes. I read as much as I could about everything. I read about gunshot wounds, Tuberculosis, Arizona plants and climate, to name a few things. I also read first hand accounts of Tombstone and old articles from Tombstone’s two newspapers, The Tombstone Nugget and The Epitaph. Piece by piece, I began to get a picture of what Tombstone must have been like between 1879 and 1882. However, none of these things could replace experiencing Arizona and Tombstone in person. The Saguaro National Park in Tucson, Arizona. The first thing that struck me was the scale. The sheer expanse of open ground between Phoenix and Tucson is incredible. I visited the Tucson Desert Museum to get a better idea of some of the animals and plants that inhabit this part of the world. The Arizona History Museum had all kinds of interesting artefacts including a stagecoach, a Faro case keeper and Wyatt Earp’s ring and wallet. I saved a visit to The Saguaro National Park for sunset. It was wonderful to stand next to the cacti. The closest I’d been to fully grown cacti was in the greenhouses in The Royal Botanic Gardens in Edinburgh. The following morning as I left the B&B, I was surprised to see a heavy frost on the Saguaro. They sparkled like they’d been covered in glitter. I drove down from Tucson to Tombstone with my husband and we arrived at lunchtime. Tombstone was quite different from the way I imagined it when I was researching A Gentleman in Hell. That night it dawned on me that Fremont Street was missing. Fremont was Tombstone’s main street back in 1881. It still is except now it’s part of US 80. Once I figured this out, it was much easier to place things in my head. We did the usual touristy things. We walked around Boothill Cemetery, we had drinks at The Crystal Palace Saloon, we toured The Birdcage Theatre Museum, The Courthouse Museum and The Epitaph Museum. But the best thing for me was just walking around the town, especially when it’s quiet at night or in the morning. In the mornings, I really enjoyed sitting on a bench on Allen Street watching people go by. Tombstone at night is atmospheric to say the least. Once all the visitors leave for the day, the town seems to get back to the business of replaying its history over to itself. Even if you don’t believe in ghosts, it’s hard not to feel a vibe about the place. I went on a ghost tour one night and although I didn’t find any ghosts, I really enjoyed the walk. I had my boots on so I could hear my heels clunk on the boardwalk. As I walked I thought, “the Earps lived here, this mine was over this way, the courthouse is over here.” After the tour, my husband and I walked back to our car. As I walked, I chatted away to my husband about the gunfight and how it was great to finally be able to see the place that it had happened. I talked about seeing where the Earps and cowboys had stood and where Billy Clanton and Frank McLaury had lay dying. I didn’t get a reply. I came out to the corner of Fremont near where the gunfight had taken place only to see my husband on the other side of the street. I had been strolling for several minutes in the dark talking to myself. Not only did I feel a bit foolish but it gave me a shiver as I was sure I’d been talking to someone and that someone was walking by my side. Don’t say I don’t take my research seriously! Riding in the Dragoon Mountains. The following day I rode in the Dragoon Mountains. My husband and I met up with our trail leaders and their horse trailer at the point where US 80 branches off on to Middlemarch Road. The gravel track was originally a road used by the US Cavalry to travel from Fort Bowie to the San Pedro Valley. We followed the horse trailer down the road and across the desert floor towards the foot of the Dragoons. The views were magnificent and so were the potholes. The trailer was going around 30 mph and soon so were we. Going faster seems to make it easier to drive. By the time we made it to the start of our trail ride, the doors of our rented Mustang were full of sand and sounded like a rain stick when you opened them. The horses were unloaded from the trailer and saddled up. We mounted up and set off on our ride to Council Rock. Riding into The Dragoon Mountains is like entering a maze. The cliffs rise high up off the ground and the sandy trails wind in and out around the smooth rocks. There are Ocotillo, Agave and Tree Cholla filling in the spaces that aren’t rock or trail. It’s easy to let yourself get carried away and let your mind slip back 150 years. You can imagine that it hasn’t changed much since Cochise was there. It got colder as we rode further up the trail. The rocks opened out to a wonderful view of the Chiricahua Mountains. There were cattle grazing the long brown grass, I’m sure things haven’t changed much since the Clantons had their ranch near Contention. The sky had grown grey by this time and it kept getting colder. Our trail leader decided that we should turn back as it looked like it might snow. My hands and feet were numb from the cold. We rode back to the horse trailer, said our goodbyes and headed back to Tombstone for a hot bath. I was sad to leave Tombstone the next day but I left with plenty of material to add to my books and some good memories. I was really grateful to get the chance to visit Tombstone and Tucson. It certainly helped me to breathe a bit more life into A Gentleman in Hell and A Bloody Revenge. I hope you’ll think the same when you read my books.